Ernesto, Giacomo and Ferruccio Grimaldi. Three generations that join hands. And whose hands have brought the earth to life. For the love of wine. Day after day in the vineyards, sniffing the wind, savouring the wait, looking into the distance. Backs bent to the land and eyes gazing to infinity. 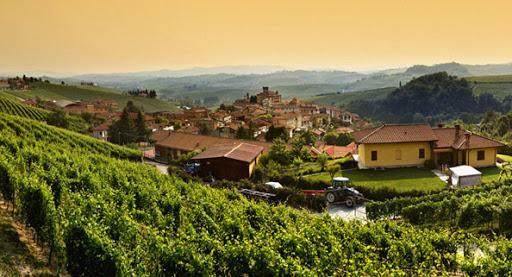 Barolo is the king of wines because it demands the most precious resource of all: time. Ferruccio Grimaldi continues the work of the winery that bears his father's name: boots on his feet, nose in a glass, hands that tell of a rural, family concern. The finesse of this wine springs from its perfect equilibrium, and the lasting wait. And the beauty of the vista from the winery: the Langhe area and its castles, vineyards and gullies. Man and nature. Wine Advocate 90"The 2010 Barolo Camilla opens to a luminous garnet color and shows feminine aromas of pressed blue flower, dried cherry, lightly toasted almond and dry earth." Antonio Galloni 91 "Grimaldis 2003 Barolo Le Coste is made in a very sweet, accessible style. It reveals open, high-toned aromatics and a core of ripe fruit with excellent length and an attractive fleshiness even if it could use more persistence. It is an excellent choice for near-term drinking.